The real estate market is sometimes hard to understand. With mountains of information to sort through, price comparisons to make, and locations to scout, finding the right house can certainly be a challenge. The challenges, however, can start even sooner than that. Sometimes the right agent is even harder to find than the right home. For George, however, he knew the agent to work with from the get-go. As a former Ask Gina & Company team member, he knew he could trust Team AGC to find him the home he was looking for. Loyal to our employees, both past and present, we knew we couldn’t let him down. Keeping George’s preferences in mind, we began our search! After a bit of looking around, we found a Gainesville townhome that was perfect for George. A brand new construction home from Stanley Martin, it was beautiful both inside and out. 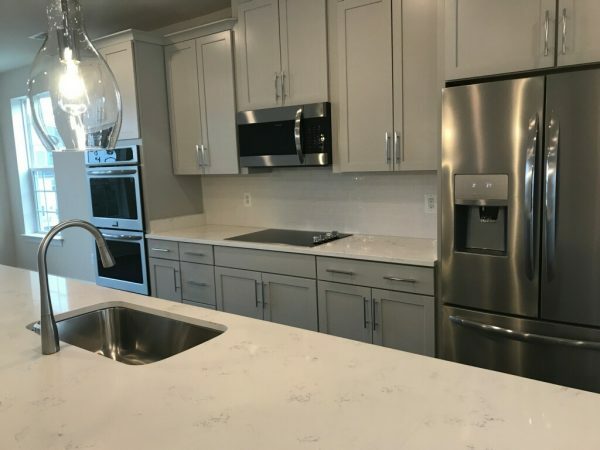 With stainless steel appliances, a double oven, and a 19-foot island topped with gleaming granite, the kitchen was a chef’s dream! Seeing as Gainesville was exactly where George was looking to live, we knew that this beauty marked the end of our search. With a home like this, George was excited to go to settlement as soon as possible — and so were we! And as luck would have it, Stanley Martin had the model home available, making for a quick delivery. In almost no time, George was smiling, holding the key to his new home. Team AGC couldn’t be happier with how things turned out. 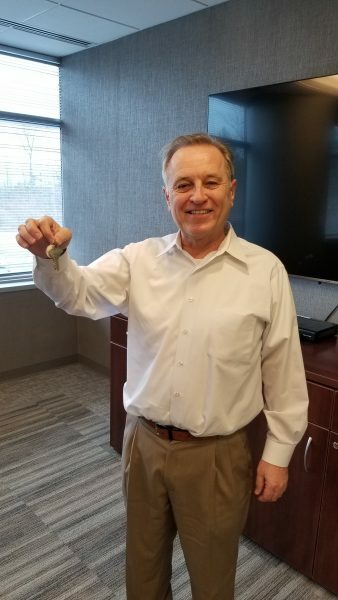 If you’re looking to find a new home, give us a call at 703-574-3478 so we can give you the same home-buying experience we were able to give George!